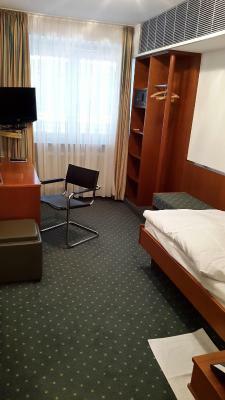 Lock in a great price for Hotel Unger – rated 8.4 by recent guests! I can't say enough good things about the Unger---big room, great bathtub, fantastic location, really nice front desk staff and outstanding breakfast. One of the best hotels I've ever stayed in....period, including Hiltons, Sheratons, etc. 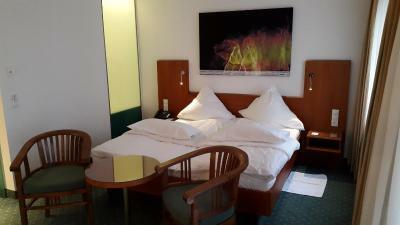 This is an honest, friendly, comfortable hotel in an excellent location. Good beds and bathroom, friendly staff. 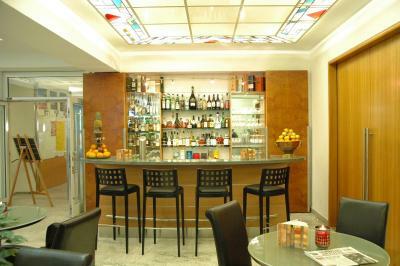 Onsite bar for a nightcap. Outstanding breakfast. Breakfast was very good; a really good selection and some local food available. Was quiet at night. Beds were comfortable. Good breakfast. Breakfast was great! The location seemed safe and was very convenient to the train station. The breakfast was one of the best I've had as far as hotels go. The ingredients were really fresh and they had fresh prepared hot dishes that were delicious. Great location close to the train station and the vast array of shops. Staff were helpful. 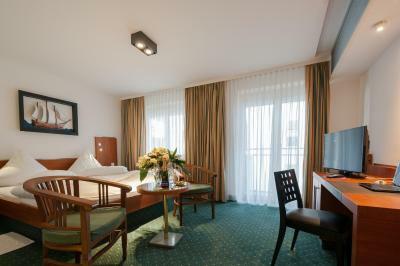 Hotel Unger This rating is a reflection of how the property compares to the industry standard when it comes to price, facilities and services available. It's based on a self-evaluation by the property. Use this rating to help choose your stay! 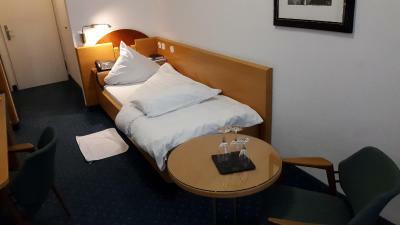 One of our top picks in Stuttgart.Just a 2-minute walk from Stuttgart Main Station, this 4-star hotel offers a 24-hour bar, spacious rooms and a breakfast room. Rental bicycles are available for exploring the city. 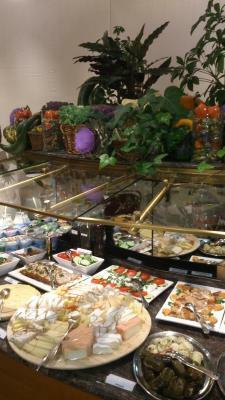 Hotel Unger offers a large breakfast buffet until 11:00 each day. Restaurants and bars are just a 2-minute walk away. All rooms at the Unger are air conditioned and equipped with cable TV and a mini-bar. 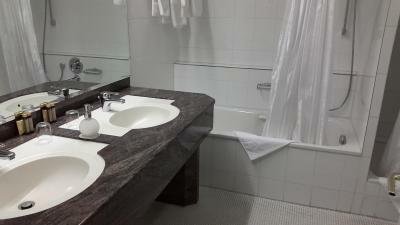 The marble bathrooms include toiletries. Basic WiFi is free for guests throughout the hotel. High-speed internet is also available for a surcharge. 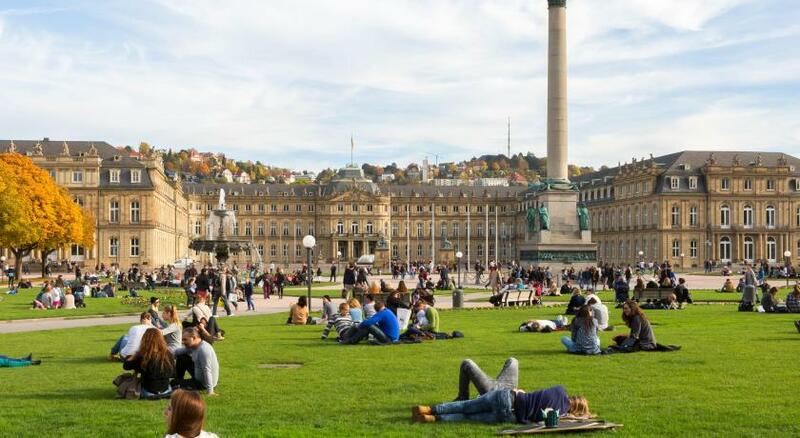 Stuttgart University and the famous Schlossplatz Square and New Castle are just a 10-minute walk from the Unger Hotel. 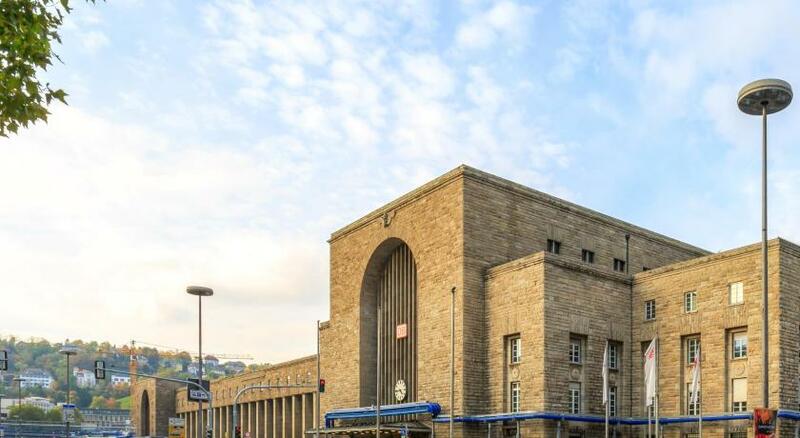 There is a direct train to Stuttgart Airport from the Stuttgart's Main Train Station, which takes 25 minutes. 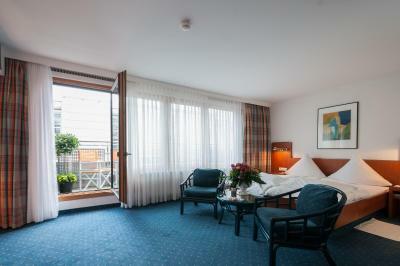 When would you like to stay at Hotel Unger? 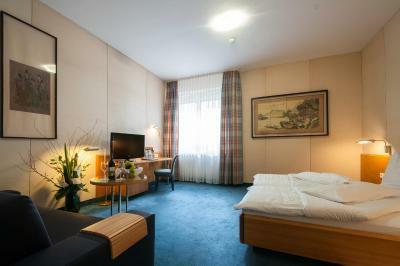 Warmly decorated room with a work desk, air-conditioning, cable TV and private bathroom with hairdryer. 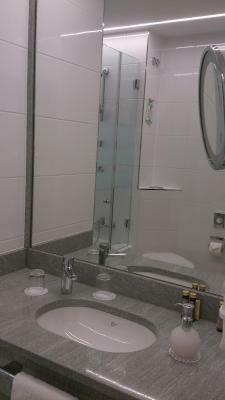 Warmly decorated room with a work desk, cable TV, air-conditioning and private bathroom with hairdryer. This double room features a balcony, a mini-bar and a seating area. A 3rd person can be accommodated in the room upon request. See hotel policies for extra fees. This double room features a balcony, air-conditioning mini-bar and cable TV. 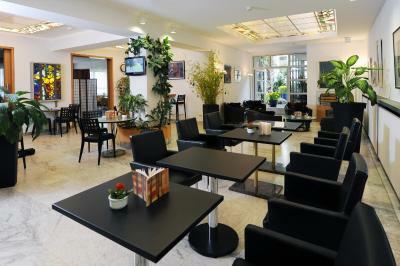 We look forward to your visit to our 4-star hotel in the center of the Swabian metropolis. 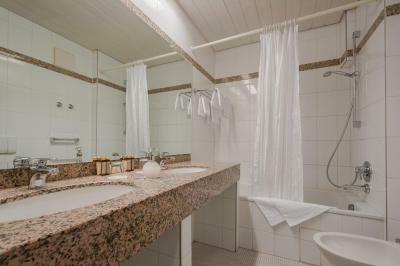 Centrally located, the property is just minutes from the State Theatre and Ballet, the State Gallery, the convention centre, and the wonderful palace gardens. Hotel surroundings – This neighborhood is a great choice for travelers interested in shopping, markets and clothes shopping – Check location Excellent location – show map Guests loved walking around the neighborhood! House Rules Hotel Unger takes special requests – add in the next step! Hotel Unger accepts these cards and reserves the right to temporarily hold an amount prior to arrival. Nothing to dislike at all! 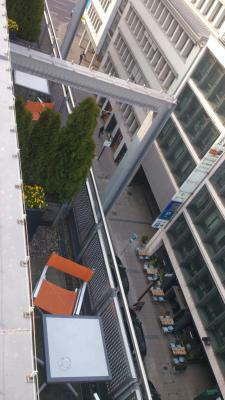 The location within an easy level walk of the main railway station is ideal. 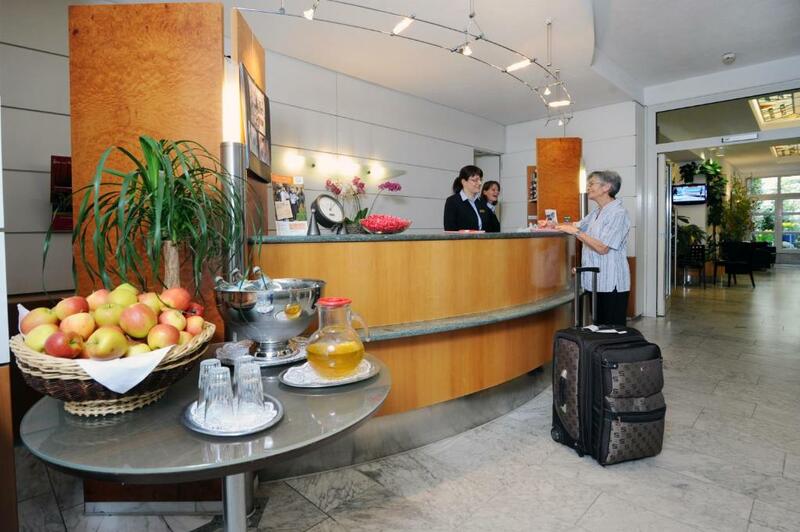 The staff were courteous and efficient, check in and out was quick and easy. The breakfast selection was varied and plentiful. The room was oriented to the quite busy and noisy street. 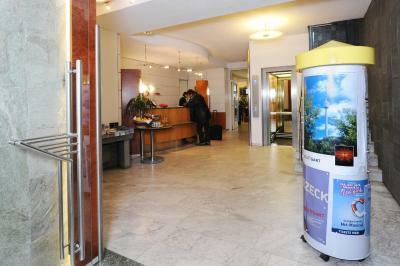 The hotel is very close to the main railway station and its S-Bahn station. The breakfast buffet was really excellent with a special fish menu. The staff was very friendly and helpful. 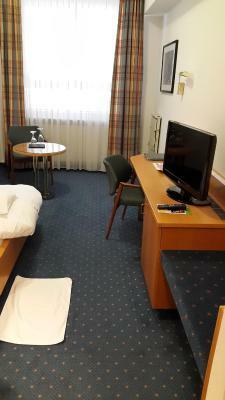 The room was quite big and very well equipped. Because I chose a single room, the room is very small. 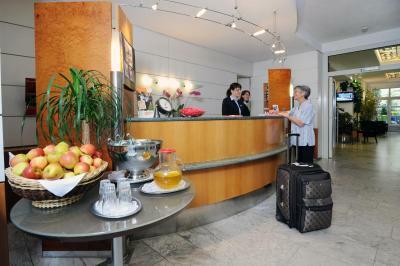 I enjoyed the most valuable breakfast and tea and water by the front desk is wonderful service. The location is so perfect that I enjoyed to walk along the Main Street for limited short time. I didn’t like the fact that the receptionist overcharged me by 50 euros. I never received the refund after I was told that I would by another receptionist. The room was very convienient to get to. Clean and spacious. Very small and very basic room. The cleaning was below my expactations. The best thing about this hotel is the location. The rooms were tired and very outdated. Our curtains were barely hanging on to the curtain rail and were circa mid-1980's floral print. There was also some sort of construction going on outside the hotel so one of our rooms had scaffolding and mesh over the windows which left the room very dark. Unfortunately there was no mention of the construction work on the hotel's website when making the booking so this was a little bit of an unpleasant surprise. 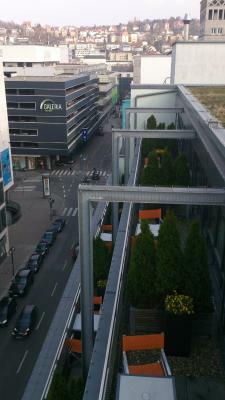 Our second room was more expensive because it had a balcony but it only faced out onto other buildings. Again, another disappointing surprise. There are many things to like about this hotel. 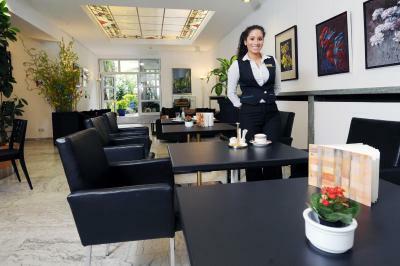 The staff are friendly and helpful [and speak English which was of great benefit to us!] and the location is FABULOUS - just a very short stroll away from all the shopping and many beautiful tourist attractions. 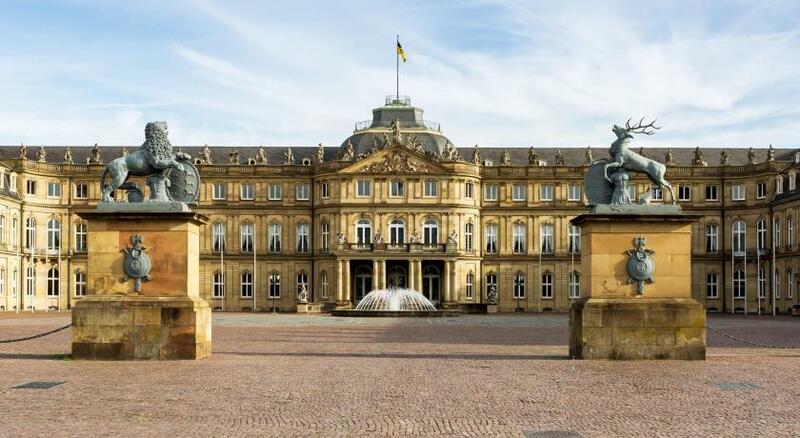 Also a 5 min walk from the Hbf [main train station]. The buffet breakfast is superb and the wait staff are absolutely lovely!! Stayed here before. Great location. 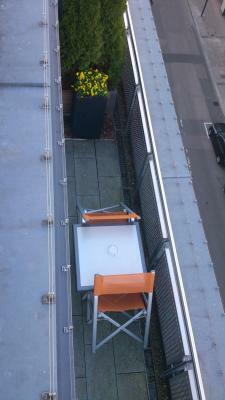 Easy access to city centre and train station. Excellent breakfast. Helpful staff arranged early check-in which was really convenient.